From Camp to City examines the theme of the refugee camp in the context of urbanism and architecture. 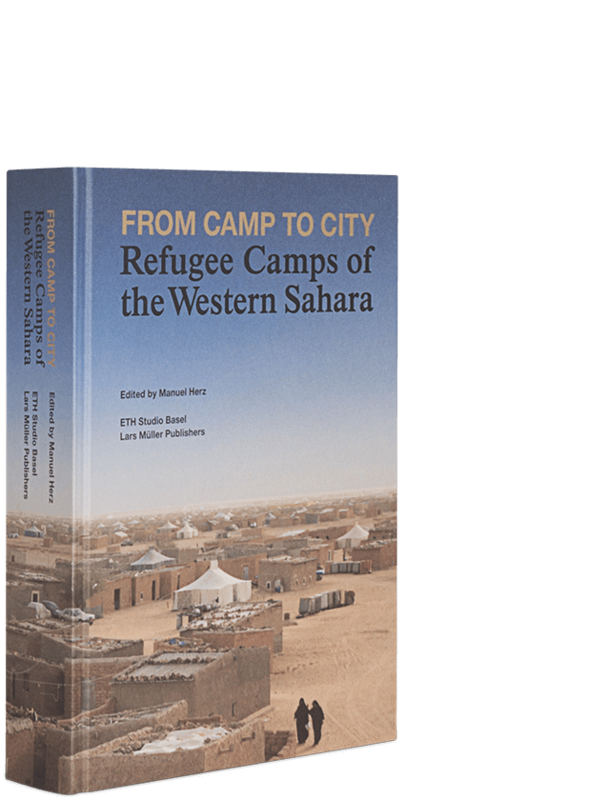 Using the examples of the refugee camps in the Algerian desert in which Sahrawis originally from the Western Sahara have been living for 35 years, the book looks at the “urban” aspects of these settlements. In contrast to the standard way of seeing refugee camps as scenes of human misery and despair, the examination concentrates on how people live and dwell in refugee camps, on how they work, move around, and enjoy themselves, and looks at the spaces and structures that are created in the process. With numerous images and texts, individual aspects of urban life are presented and analyzed in the different chapters. As an examination of a “borderline case” of urbanity, the publication does not ignore the problematic aspects of this theme, but on the contrary: its potential explosiveness is further underscored by the focus on a “vocabulary of the urban.” It allows an understanding of the camps as a political project. The publication is based on research studies of the ETH Studio Basel, Institute of Contemporary Urbanism at the ETH Zürich.